Attention Provo dental patients: brushing twice daily may help lower your risk of heart disease. Utah scientists, dentists, and cardiologists have known for many years that there is a link between inflammation in the mouth (gum disease) and heart problems. However, a recent study analyzed oral health habits and heart disease risk. Science Daily reported on the study, which was published in the British Medical Journal. 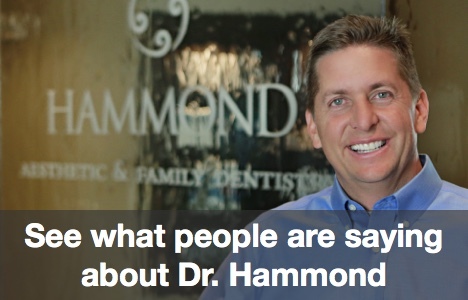 We are Dr. Hammond DDS of Hammond Aesthetic & General Dentistry. The Scottish survey is one of many that confirms the link between oral health and overall health. Simply put: you aren’t healthy unless your gums and teeth are healthy. It doesn’t matter if you are a lean Provo distance runner with a pulse of fifteen beats a minute and a blood pressure of 100 over 60. It doesn’t matter if you are an Orem vegan who has eaten a nutritionally balanced, low-fat diet for the past five years. If you have inflamed gums and tooth decay, you are at risk for problems in other areas of your body. The phone number for Hammond Aesthetic & General Dentistry is 801-374-0070. If you have concerns about your oral health, I invite you to schedule an examination today. Perhaps your teeth and gums are healthy but you wish your smile was more attractive. We can help you! We offer complete smile redesigns. Porcelain veneers, crowns, inlays/onlays, and orthodontia are all available to solve any cosmetic problems you wish to correct. If you have a small child who has not visited a pediatric dentist in Provo yet, now is the time. My caring team and I will help keep your child’s smile beautiful for life. Or call us at 801-374-0070 to learn more.